About two weeks ago if I am not mistaken, I posted an instagram story including products from cuticura that I wanted to try out. For years I have been battling with oily skin and a bit of pimples on my face. Well even with this new trend on ‘natural glow. I still don’t like having oily skin. I do want to glow though. But the normal glow. In any case I know that there are a lot of ladies out there who are facing oily skin challenges. It really isn’t something to brush off. Especially when you have make up on. Oily skin speeds up the oxidation process. So it’s important to fit skin care into your daily routine to see changes. 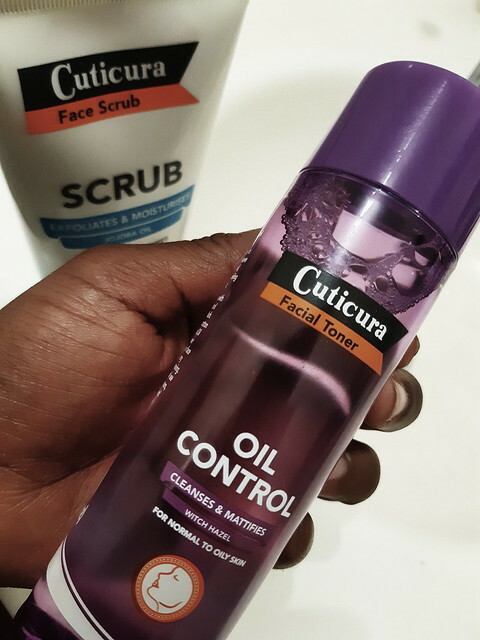 So my skin care routine includes three products from cuticura. 1. Skin scrub 2. Toner and 3. Vanishing cream. So what I do is I wash my face and neck with the scrub then patte it dry. Then I use a cotton pad to apply the toner. I let it air dry this time. Then lastly I apply vanishing cream. These products were meant for people with oily skin apart from the scrub. Which is for all skin types. What I love most is that I can use the vanishing cream as a primer when I apply make up. However if pimple pores are open, the toner stings a bit. Usually my mom would say that it’s medicine doing it’s job. Wow! I apply these products every morning and evening. Remeber consistency is key. This unique formulation exfoliate dead skin cells and leaves your sin feeling smooth. It amazingly contains jojoba oil which helps to moisturize your skin. Note: For all skin types. It goes for an affordable R36,99. The main function of this toner is to cleanse and mattify oily skin by removing dirt and excess oil with its super ingredient ‘with hazel. It also is R36,99. 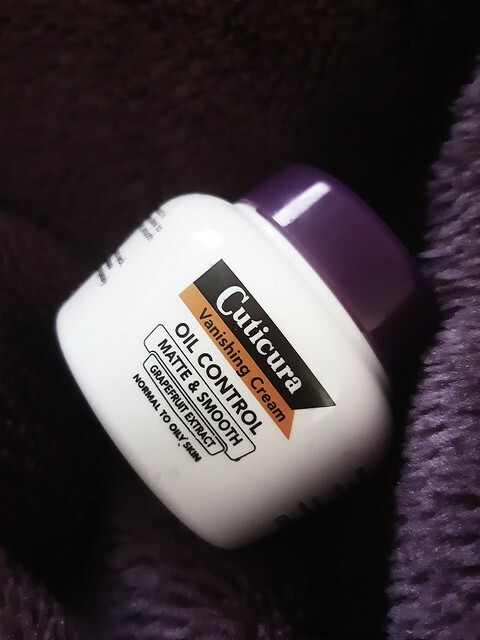 The oil control vanishing cream is for normal to oily skin. It contains grapefruit extract. Formulated to reduce oil and shine. Goes for R39,99. All products are available at your nearest pharmacy and supermarket. If you are battling with oily skin. Try it out. You never know if it might work for you too. Note: Skin types are different. Consult with your skin doctor if you might.